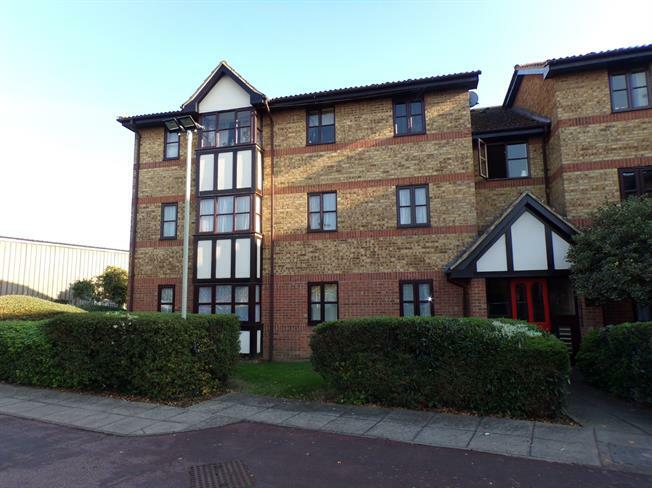 A very well presented two bedroom first floor purpose built flat located on the south side of Bedford. The property benefits from double glazing, electric heating and a 16ft open plan lounge/diner. There is a fitted kitchen and bathroom, allocated parking space for one car and is available with the added bonus of no upper chain. This is an ideal first time buy or investment. Doors to all accommodation. Storage cupboard. Single glazed wood bay window facing the front. Electric heater. Single glazed wood window facing the side. Roll edge work surface, built-in units, single sink. Single glazed wood window facing the front. Electric heater.